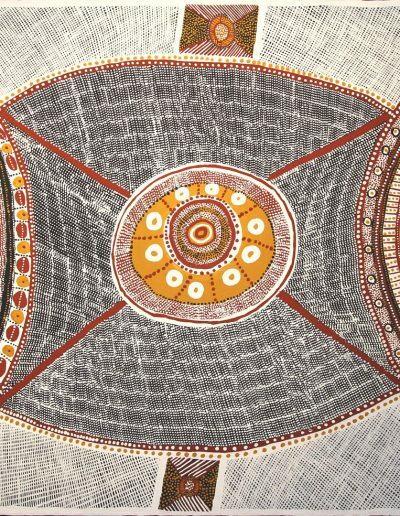 2013 Telstra Aboriginal and Torres Strait Islander Art Award finalist Susan Wanji Wanji grew up in Maningrida and as a young girl learnt to make bark paintings and intricately woven mats and baskets. She is an exceptional weaver and Tunga (bark basket) craftsperson. 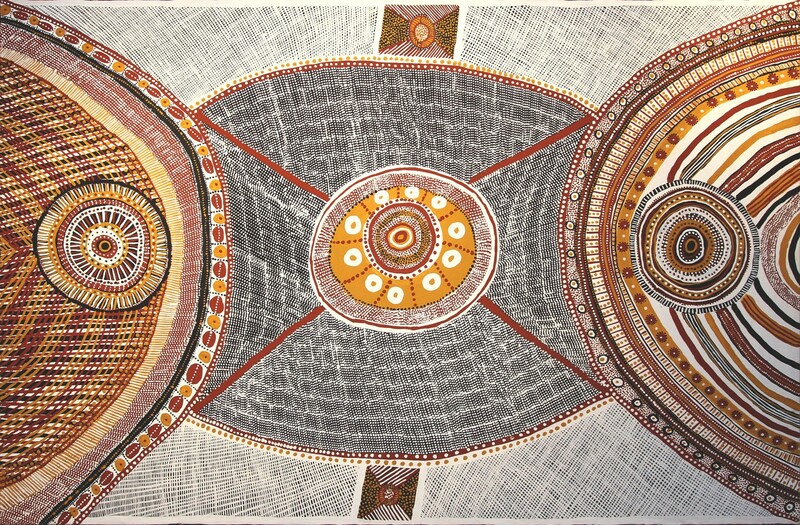 Susan Wanji Wanji started working at Munupi Arts & Crafts ( Yikikinni Women’s Centre) in 1990 and has since developed a unique style that has influence from both Tiwi and Arnhem Land cultures. In 1992 Susan Wanji Wanji travelled to Paris representing Munupi Arts & Crafts and assisted with the hanging of the women’s centre exhibition. Susan Wanji Wanji works on linen and arches paper with natural ochres, along with limited edition lino prints and etchings. Her art is represented in many national as well as international collections.